I often like to give the gift of an experience. In this gift there are two movie tickets presented to a teenager along with some movie-size candy. You could present either movie tickets or a movie gift card on their own, or also include a restaurant gift card so they can enjoy dinner and a movie out with a friend. I started with these popcorn boxes to deliver the gift. 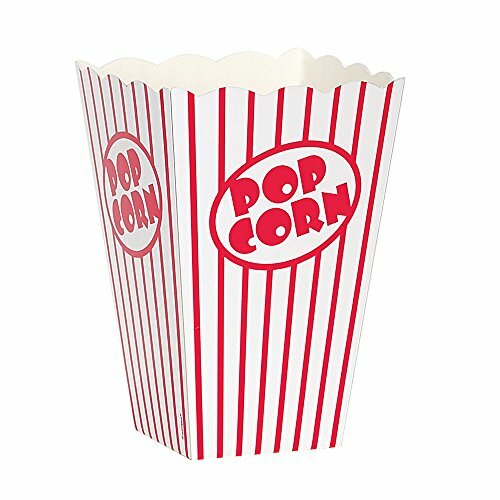 The popcorn boxes are sold in a pack of ten, so I'll have some left over for another gift. I filled the box with some white packing material and placed the ticket and candy inside. I've seen movie theater and restaurant gift cards for sale at Target, so it's easy to get this gift during a Target run! Target also has a section where they sell candy like you would see in a movie theater. 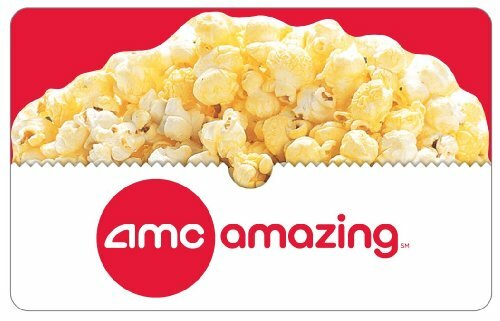 Alternatively, you can purchase AMC Theater Gift Cards online, just make sure there is an AMC theater near your gift recipient!